We're still trying to get into a rhythm of what our school day should look like around here! Adelyn is switching from two naps at 10 o'clock and two o'clock to now one nap at 12:30. I like to start school at nine but this year haven't been able to start until she goes down for her nap and it's messing up my stilo!! I had a few days where i'd gotten all flustered about not being on a good schedule. But this week I decided to just go with the flow and see where that takes me. 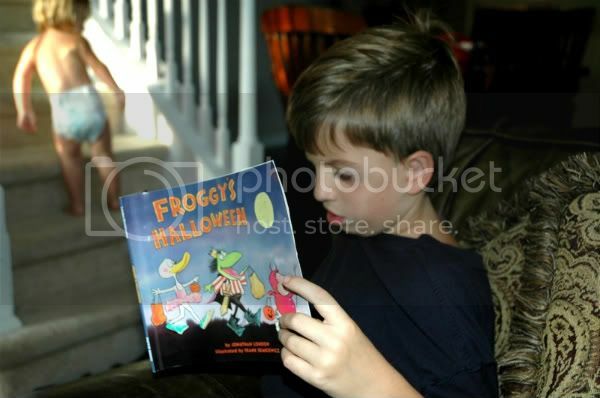 We were still able to get all of our schoolwork done and have lots of fun in the mean time. 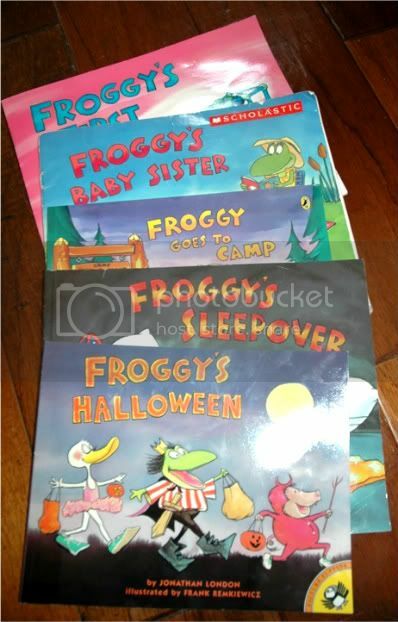 These Froggy books are some of Andon's favorite "fun" books to read. He has all these and more that I couldn't find when I took the pic. And little miss is a serious lover of shoes!! 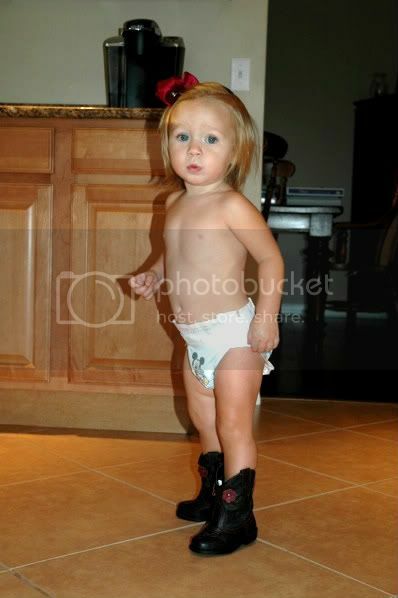 I got her these cowboy boots when she was a lot smaller. We've tried them on a few times and now they finally fit! 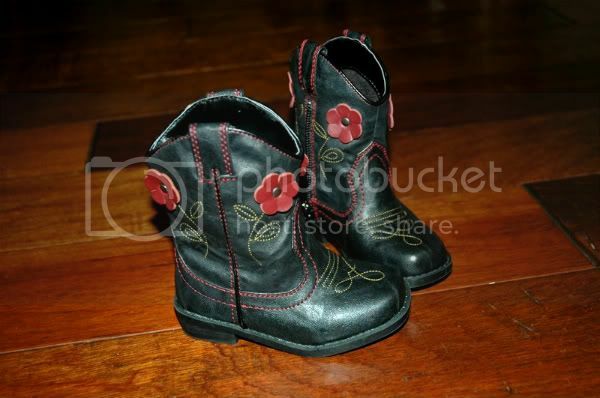 As soon as she wakes up in the morning she starts saying "shoes". We're enjoying the weekend with Papa over. Taking it easy and not worrying about a schedule! And come Monday i'll continue to work on getting in the groove of this new school year! Your little girl is getting so BIG!!! Still one of the prettiest babies I've ever seen! Glad you guys are doing well! Hey Sarah!! Thank you, we think she's a cutie too. :) Thanks for checking in on us sweet girl.